Obstetrics is filled with high-risk situations. Shoulder dystocia is a fetal condition that may occur when the infant’s head is outside of the body, but his or her shoulder cannot pass through the birth canal. The person performing the delivery has to use specific techniques to help the infant’s shoulder get out of the body. This is an obstetrical emergency because the infant can die during the delivery due to compression of the umbilical cord and loss of blood flow and oxygen. 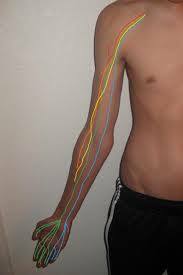 In some cases, the infant may suffer severe and crippling damage to the nerves that pass through the shoulder and provide sensation and motor function to the arm, forearm, and hand. What do we learn from this case? There are actions by healthcare providers that contribute to shoulder dystocia. Not telling the mother her third child had shoulder dystocia prevented her from telling a physician unfamiliar with her about the problem. Here are other factors. See other blog posts on this subject: Part 1, Failure to recognize the fetus is in distress, and Part 2, Delay in performing cesarean sections. Part 4 focuses on prevention. Med League supplies well qualified obstetrical expert witnesses as well as experts for other types of medical malpractice cases. Contact us for help with your next case.